The new Police Scotland 101 non-emergency number was launched across Scotland on Thursday 21 February 2013. It has replaced the vast range of existing police force non-emergency numbers, including the old Grampian Police number. information about crime in their area. The 101 non-emergency number is available 24 hours a day, seven days a week. It costs a flat rate of 15p per call and will connect the public to a police service centre in their local area. This number has already been launched successfully in England and Wales and is widely used. 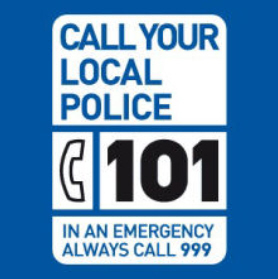 Increase interoperability with England and Wales, with 101 becoming the nationally recognised non-emergency number for contacting the police across the UK.